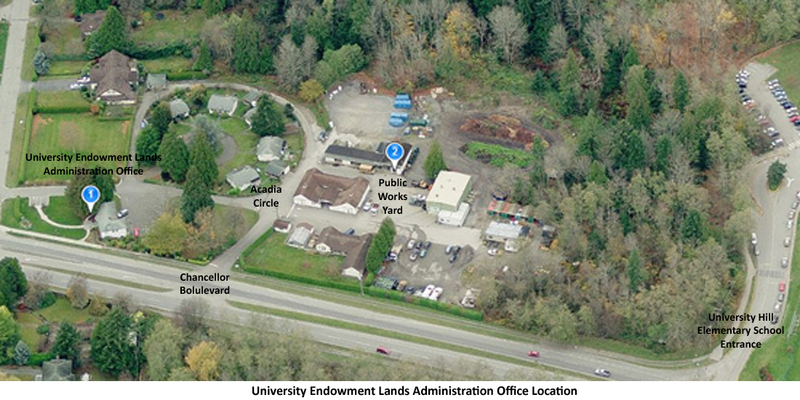 The University Endowment Lands (UEL) is an unincorporated area located between the City of Vancouver and the University of British Columbia (UBC) on the western tip of the Burrard Peninsula. The UEL consists of approximately 1,200 hectares (3,000 acres), more than half of which (763 hectares or 1,900 acres) is contained within Pacific Spirit Regional Park. The UEL Administration Office is located at 5495 Chancellor Boulevard, Vancouver, BC. Contact information for our Administration Office can be obtained here or please click here for a list of services provided by the UEL administration and public works staff.